Salad is easy and healthy recipe, after having heavy breakfast and when I want to have light lunch I always go for salad. Green gram is full of protein and sprouted green gram is more healthier than boiled green gram. 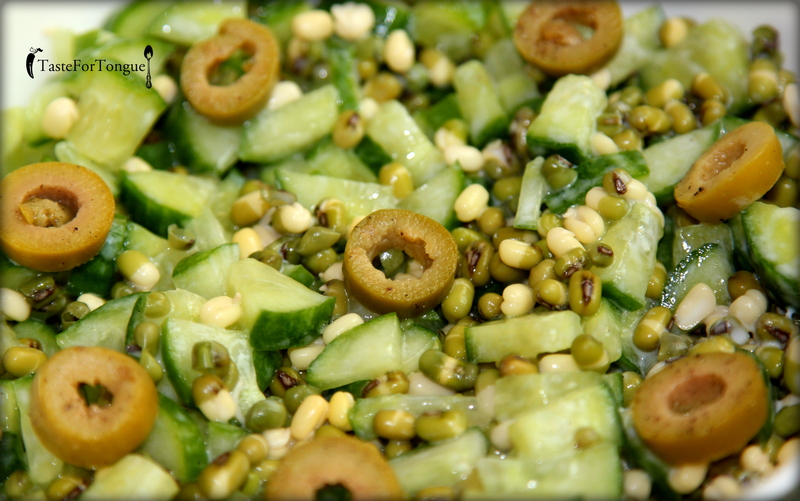 Take a cup of sprouted green gram in a large bowl and toss chopped cucumber along with that add a teaspoon of white vinegar and 4 spoon of yogurt and sprinkle salt and mix it well. 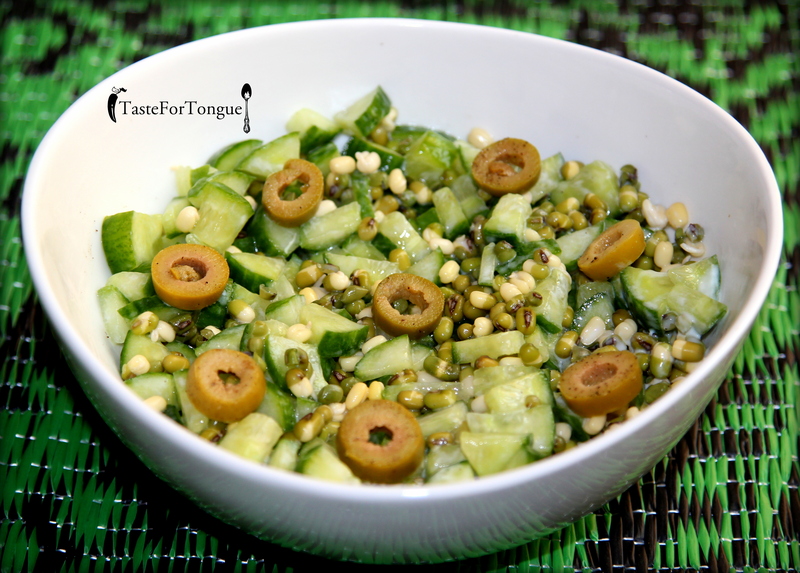 Add some sliced green olives for decoration and your salad is ready to eat.